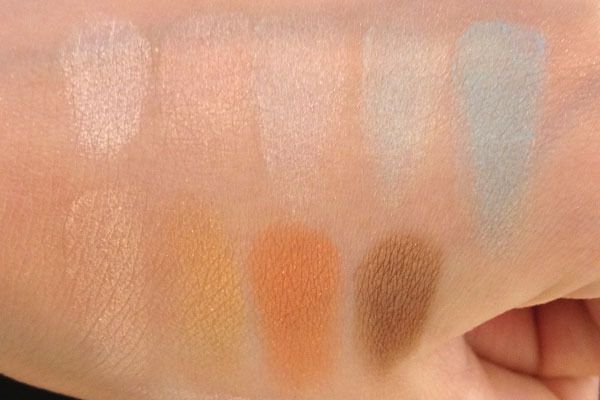 Here are some swatches of the Dior Croisette Collection for summer. Apologies for the shoddy department store lighting, but I take what I can get. 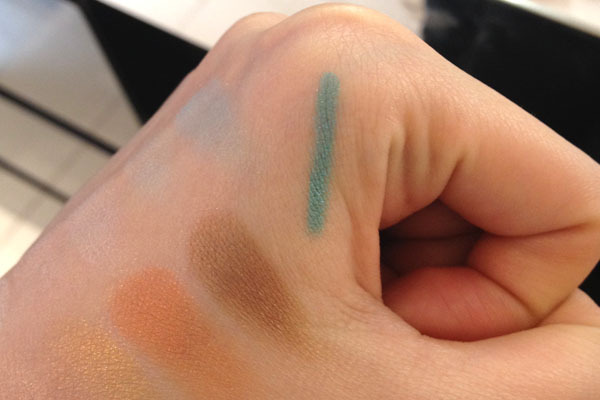 I couldn't swatch the eye glosses because the testers have not arrived. I also only swatched two of the three glosses because the pink-peach gloss didn't look very special to me (and in truth, I forgot). 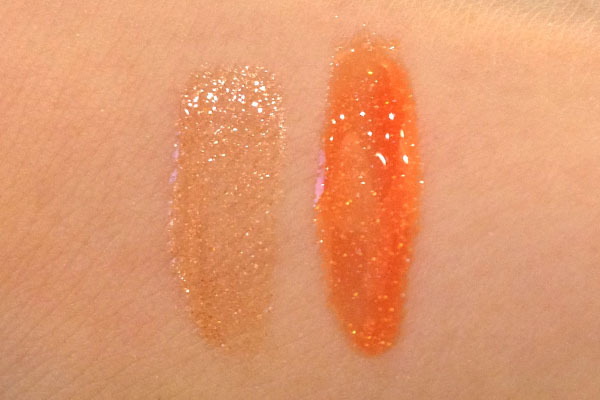 Although early press info from other blogs showed a fourth gold gloss, I did not see it at the counter. I tried on everything I swatched at the counter, but so far I was only moved to purchase the orange gloss and the nail polishes. I really liked how both the eyeshadow palettes looked on the eyes, but I was reluctant to purchase something I'd only use for a couple of months. We'll see if I change my mind in the next few weeks! Also, for inquiring minds, the orange gloss is pigmented. It will show up on your lips. I took the pictures below when I got home a few hours later. I didn't pick up the turquoise liner but am now regretting it - it might be the first thing I've placed on my bottom lash line that wouldn't budge. I have Swimming Pool (anyone else think it's an unfortunate name?) on and it looks better than I thought cool blues could look on my eyes. I believe the Dior counter at Saks Fifth Avenue New York is the first to receive the collection. I suppose it'll roll out at counters nationwide any day now. If you can't wait to get your hands on this, you can contact Aliyah (who's an absolute sweetheart) at 212-940-2260. Tell her Xiao of Messy Wands sent you! Update: I just heard on Twitter that several pieces of Dior summer arrived on Sephora.com today! gorgeous colors! such beautiful eyes! What colors CANT you pull off?! 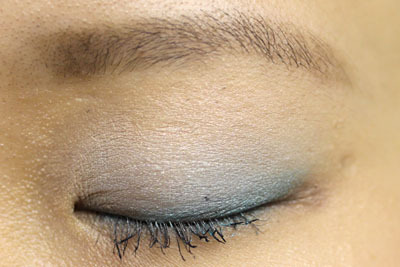 I've never felt like turquoise worked on me ... as beautiful as the palette and liner are. I'm not so keen on the eye shadow palettes in this collection (looks so sheer and light) but the lip gloss sure looks good! Can't wait to see it in person. Thanks for the heads up on the collection at Sephora. I think I will skip the eyeshadow palette. For some reason I find them powdery and not as pigmented. You look lovely as always! 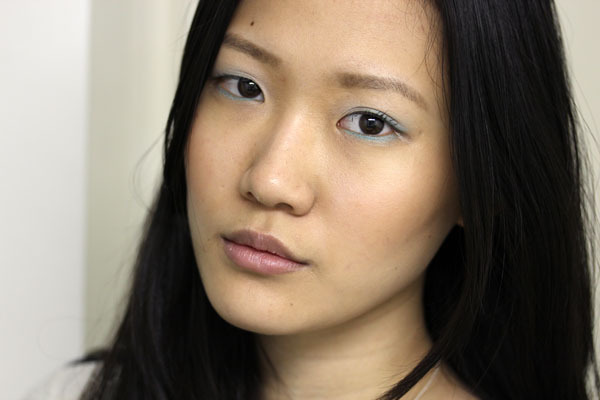 That blue liner is amazing. And the orange gloss! It looks amazing! The tan one, too. You guys get things FAST! Here the collection isn't due out till the 18th, and I haven't even received any PR information yet (though it should be any day now, any day)! I love Swimming Pool on you, though it's definitely dangerous for my skintone. I think I might be able to rock Aurora though, and I am also super intrigued by the polish! It is amazing how the eyeshadows do not show up! I know these are fair colors, but still! Thank you for your swatches, I was waiting for these eyeshadows palettes and now, I know that I can pass on them! 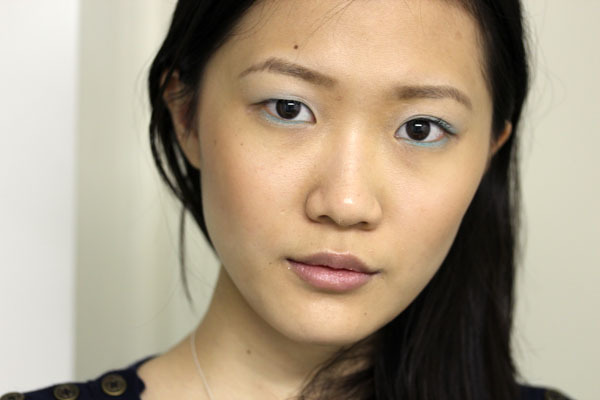 I did not expect to but I bought swimming pool together with a 1 colour eye gloss and the eyeliner of course goregeous! Nice fresh colours tried Aurora the one I set out to buy but was so like many other palettes I already own. Using the eye gloss intensifies the colours! I love orange! Must investigate!